Mandatory upload of at least one listing image. Set the maximum number and size of uploadable photos and videos, and crop pics when generating thumbnails. 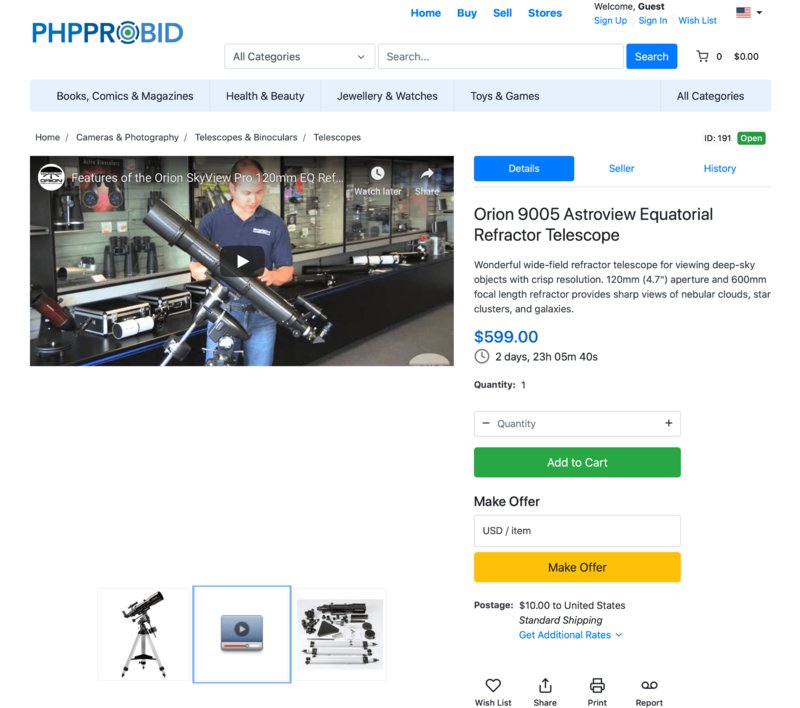 Sellers can add remote images, watermarks, and include embedded codes for external videos (supported extensions). Sellers can schedule sales that fit into their daily programs. By observing previous customer behavior they can create flash auctions and sales during high traffic periods. Sellers can create folder for storing digital downloads. They can also set the maximum number and size of downloadable files. Files are automatically available once a payment is finalized (supported extensions). Any direct payment method will activate the digital download(s) associated with it. When allowing offers, sellers set the listing price and the accepted price range (optional). Offers can be accepted, rejected or negotiated. When making a counter-offer, both sellers and buyers can go back-and-forth until agreeing on a final price. Automatic relist of expired items. Set the maximum number of relists and select a relisting method: New – old listings will be marked as deleted; Same – relisting an expired listing, but deleting all its previous bids or sales. Additional security layer: require admin approval before listing a product. 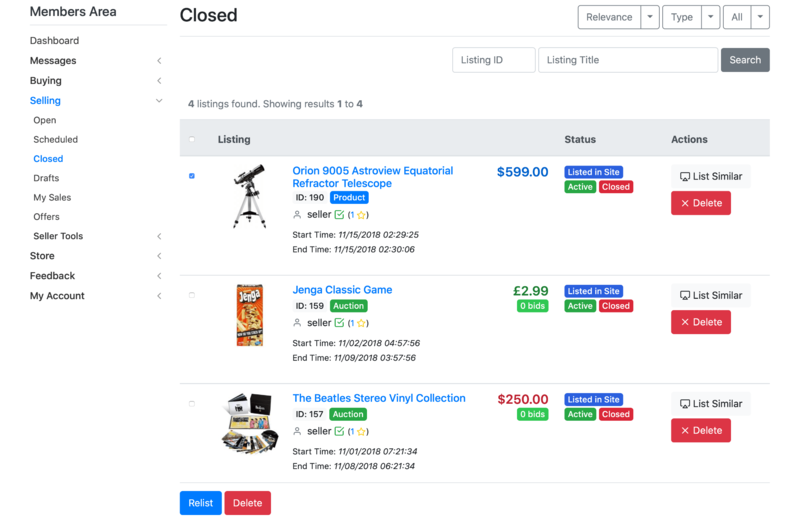 When enabled, edited listings will also need approval before being, once again, visible for buyers. 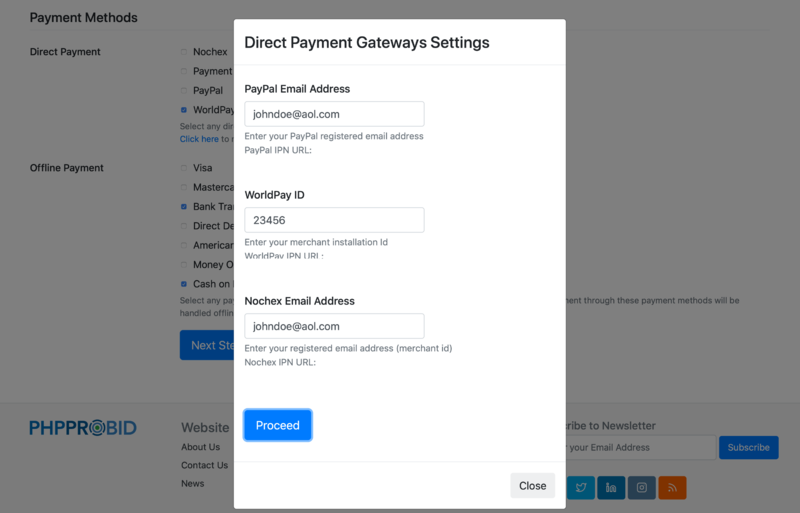 Select the right payment gateway(s) for your business from a variety of options, and use them for the payment of site fees. They also help sellers to receive direct payments through the site. However, if you want to add a gateway that's not on the list do not hesitate to contact us.